So, what is the etiquette for a wedding registry? It actually can be really tricky to navigate, especially for the couple. Here’s the wedding registry etiquette you need to know to get started on your own gift list. Creating a wedding registry can be intimidating! There's traditional wedding registry etiquette for guests as well as the happy couple — and sometimes the rules aren’t very well known. Here are a few wedding registry tips — from how many gifts to register for a wedding to how a registry actually works. Plus, a few ideas for your guests to follow as well. Here’s the wedding registry etiquette you need to know. 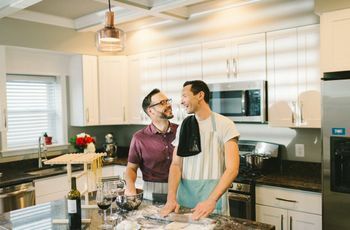 A wedding registry is actually pretty simple: You and your beloved put together a wishlist of gifts — from pots and pans and linens to honeymoon experiences — that you’d like to receive during all of the celebrating. Guests can then search your registry before a shower, an engagement party, or your big day to pick out a gift they will know you’ll love. But how does a registry work, exactly? The store or online retailer tracks that gifts are purchased (no doubling down!) and also offers shipping directly to the couple to make it a no-fuss way to shop for your guests. It sounds fast, but wedding registry etiquette says you should register within two to three weeks of getting engaged for a least a few gifts. There will be family and friends that want to send you an engagement present right away. And if you are having an engagement party, make sure you’re registered at least two weeks in advance of the fete. At a bare minimum, register before your wedding invitations go out — guests shop at different times, some the moment an invitation hits their mailbox, so you want to be prepared. Pick favorite stores that match your style and include a variety of gifts that you’re interested in. 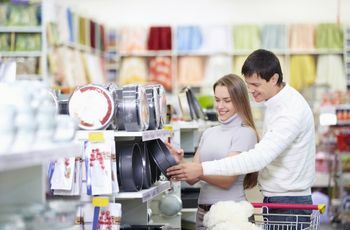 You can certainly register at more than one place, but as far as wedding registry etiquette goes, you should keep your list to two or three stores and no more. And if you choose to register at a small, local boutique, make sure you have at least one national or online retailer so out-of-town guests (or those who just hate shopping in store) have a place to buy. Yes! Most guests these days shop online, so consider an online registry to make things even easier for your guests. As far as online wedding registry etiquette for guests: It can’t get easier to make gifting deadlines than a click of the button! Online registries also have a tracking feature, so sending thank you notes just got that much easier. How many gifts should we register for? So how many gifts should you register for a wedding? Aim for two to three gifts per guest, with the idea that not every gift on your registry may get purchased. 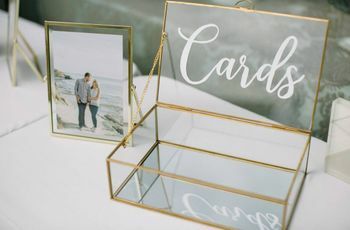 Every guest has a different budget, so while one guest might only be able to afford that beautiful picture frame for your wedding photos, other guests may want to bundle things together (a cookie sheet, cookbook, oven mitt, and more!) into themed presents. And if you are worried folks will go off the registry (wedding registry etiquette for guests says this is sometimes okay) having a fuller registry that doesn’t run dry is a good way to prevent this. How expensive can our registry gifts be? As we said above, every guest has a different budget, so be sure to think of this as you pull your registry together. Make sure you have options on the lower end, under $50, and then more expensive items, $100 or more. How do we let our guests know about our registry? Here’s the number one wedding registry etiquette guideline: Never put registry information directly on an invitation — be it your shower, your wedding, or your engagement party. Instead, provide registry information on your wedding website, and use your wedding website URL on the invitations. 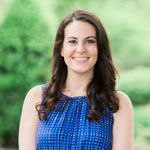 When should we expect our guests to purchase a gift? Remember: Attendance does not mean a gift is required, but is basically an unspoken rule. Most guests will send a gift within a month of the big day, bring it to your wedding reception, or send it within a month after. 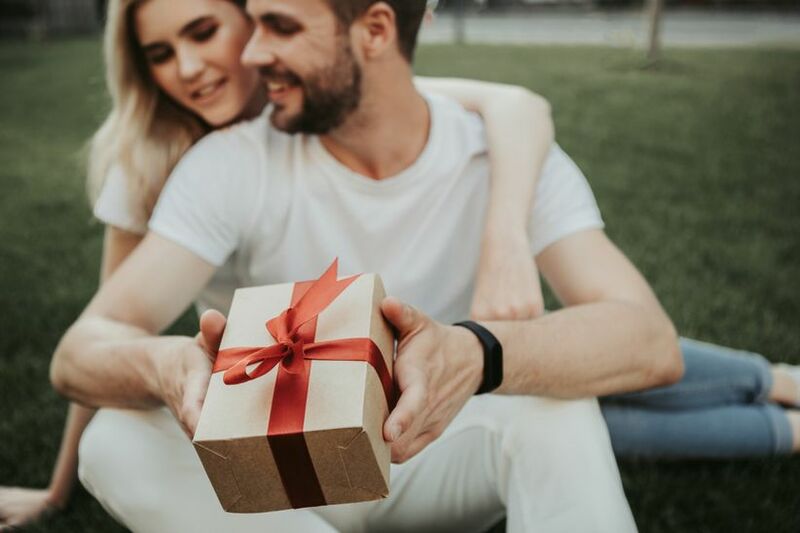 That being said, according to wedding registry etiquette for guests, your family and friends have up to a year to send your gift—but it’s very rare anyone will actually take that long! What should guests do if your registry runs out of gifts? It’s a good idea to check up on your registry and make sure there are still gifts to be bought. But if your registry has run dry, consider a honeymoon or cash fund. If you’ve got the honeymoon covered, guests can write you a check (it’s not tacky to give money!) or buy you something they know you will love—the best idea is to make it personal, or even ask if there’s something not on your registry you’ve been craving.